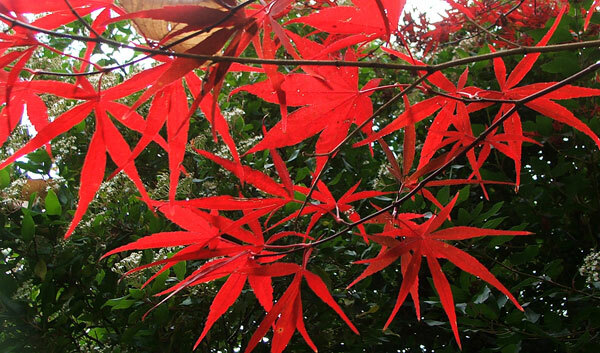 I wanted you to turn the tree leaves spectacularly red - to impress the visiting Garden Club - and you were pretty half-hearted about it. Then, when you finally got the message, the ladies were well and truly gone, and I was a bit sick of gardening. It only took three or four days to get me back in the garden, though. 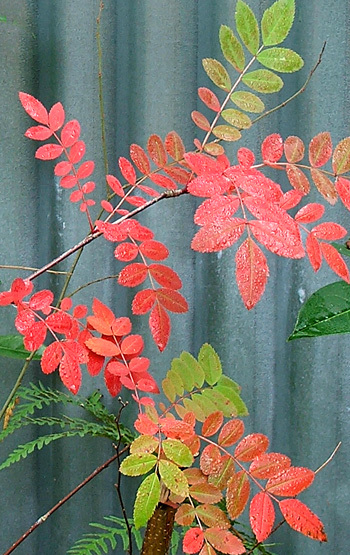 When I did so, many of the leaves that should have been brilliant red were, in fact, dead. What happened? You can't blame the wind - there hasn't been any! 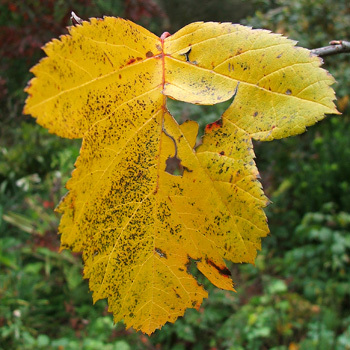 It seems that as soon as I've noticed, and commented on, a golden leafed tree, you've crept up and spoilt things. 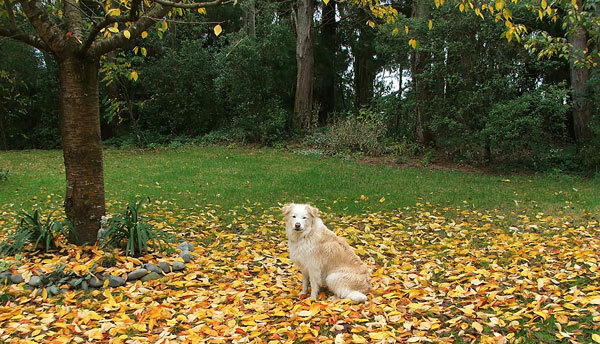 I've watched all the leaves fall down willy-nilly, and my heart has sunk with them. I've stopped writing fluttery poetry and started thinking about raking the lawns. And how can you turn a scarlet oak from scarlet to dull brown in the time it takes me to recharge my camera batteries? I am a keen photographer of all things autumn, but this year you've been teasing me. I notice you've totally faded all the leaves on my favourite dogwood - just as I was beginning my daily check of their rich shades. What's been the rush? I seem to be putting the blame all on you, Autumn. You're probably not totally responsible for my moochy mood, but you definitely are responsible for my lack of photographs of the Cercis Forest Pansy. Moving in so fast on that poor tree! I've worked something else out. You're to blame for not providing enough crisp frosts at the correct time of the year. You kept April too warm for too long... What an ungrateful gardener! Perhaps the Garden Club visit caught both of us a bit betwixt and between. The ladies came too early to see perennials trimmed and beds mulched, but too late to see roses behaving decently and sedums without mildew. Dying hosta and peony foliage hinted of past greens and colourful flowers, and I expected you to provide equally rich delights. But you, Autumn, were about two weeks behind schedule. I've checked last year's photographs! Mind you, that's been a pretty impressive golden carpet on the driveway that you encouraged the Locust tree to provide. 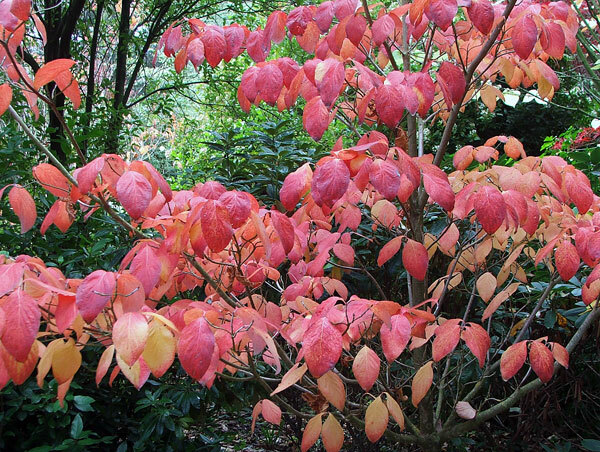 And the deep red Maples have lit up the Dog-Path Garden, as have the Berberis shrubs.